I'm both sorry and not sorry. I'm sorry for being away for so long. I'm not sorry for taking some time offline to focus on my family and my own needs. I've been living a very good year, embracing each day and what it has on the menu. I've tried many new recipes, new approaches, and recreated some old standbys in fresher, healthier ways. We had a very family-centric summer, planted a huge garden, and stayed home as much as possible. We narrowed our field of activity and honed in on the things that inspire us the most. I hope to get back to more regular blogging, now that the garden is (mostly) out of the ground. I also hope to see you around here more... if you have ideas or requests, please do share them with me. I'm all ears. 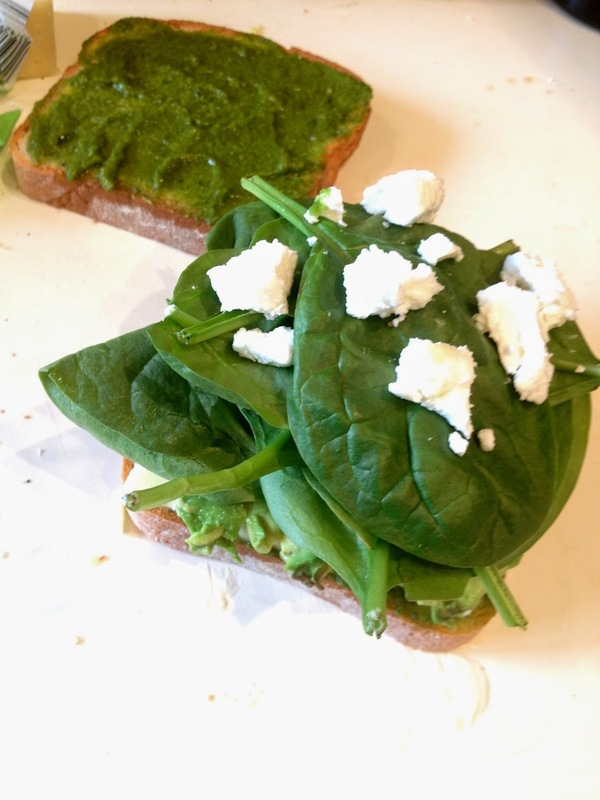 Waaay back in January of this year, I made a swoon-worthy sandwich that I determined to share here. I made it again in May and took pictures, because it's green and it's GORGEOUS. You can find it here, on Tastespotting, in its original form, but I'll share it here, too, along with my own take on it. Spread butter on outside of two slices of bread. On the inside of each slice, spread 1 or 2 tablespoons of Green Goddess Herb Pesto (original recipe calls for 2 tablespoons total because pesto is STRONG, but I loved it with lots). 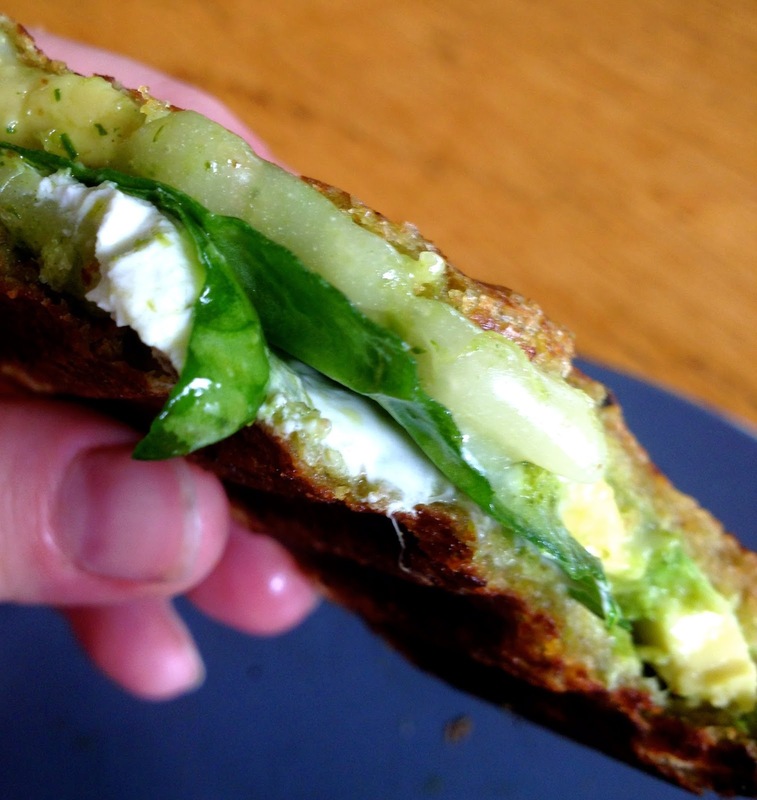 On one slice of bread, add mozza or provolone, sliced avocado, spinach and goat cheese, then top it with second slice of bread. Press together gently. Heat 1 T EVOO in a griddle pan over medium heat until hot. Add the sandwich to the oil and cook, flipping once, until bread is golden brown and cheese is melty. Very slowly drizzle in olive oil until kale and herbs get sufficiently chopped and everything is the consistency of a pesto, scraping the sides as needed. Add as much olive oil as you need to make it the consistency you want. 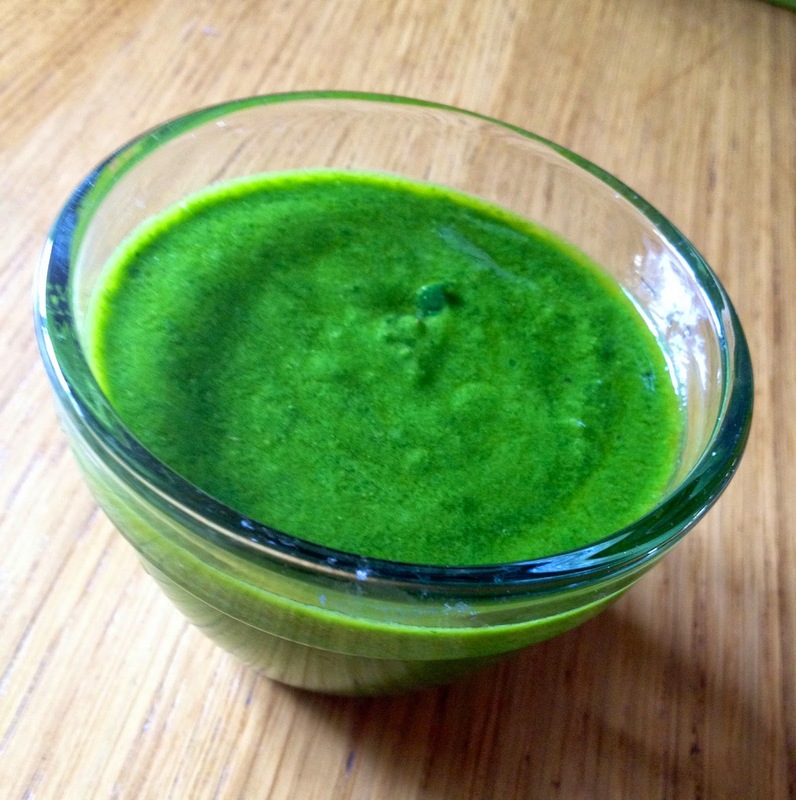 Use this on salads, sandwiches, pasta dishes or dollop a bit in your appetizers. It's so, so good.